Recent Arrival! 2014 RAM 2500 SLT 4WD CREW CAB, HEMI 5.7L V8 VVT, BLUETOOTH, POWER WINDOWS AND LOCKS, TOUCH SCREEN RADIO, MP3, SATELLITE RADIO, PREMIUM SOUND, WELL MAINTAINED W/ DETAILED SERVICE RECORDS, ONE OWNER CLEAN CARFAX VEHICLE HISTORY REPORT, INSPECTED BY ASE CERTIFIED TECHNICIANS, AUTOMATIC, A/C, CHROME WHEELS, TRACTION CONTROL, TOW PACKAGE, TINTED GLASS, REMOTE KEYLESS ENTRY, CRUISE CONTROL, & MORE!, CALL OUR SALES MANAGERS TODAY FOR MORE INFORMATION @ 715-420-2200.KBB Fair Market Range High: $28,900CALL OUR SALES MANAGERS TODAY FOR MORE INFORMATION @ 715-420-2200. We have moved to our NEW STATE OF THE ART FACILITY at 1742 Stevens Street in beautiful Rhinelander, WI. We are located Next to Bike and Boards. 2500 Laramie 4D Crew Cab, Cummins 6.7L I6 Turbodiesel, 4WD, AUTOMATIC, PREMIUM SOUND SYSTEM, MP3 PLAYER, BLUETOOTH, SATELLITE RADIO, REAR-VIEW CAMERA, POWER WINDOWS & LOCKS, POWER DRIVER SEAT. CARFAX One-Owner. Odometer is 20017 miles below market average!Just email, call, or text with your questions!!! Credit isn't a problem either, our finance team is your link to the new or used car of your dreams!!! If you don't see what you're looking for let us know, we have access to over 2000 new or used vehicles and serve Harvard, Marengo, Rockford, and the Woodstock areas. 2017 Ram 2500 Laramie Crew Cab 4WD, Bluetooth, Backup Camera, Navigation, Heated Steering Wheel, Heated & Cooled Leather Seats, Heated Rear Seats, Power Seats, Power Windows & Locks, CD Player, Satellite Radio, Premium Sound, Local Trade, Non-Smoker, Inspected By Ram Certified Technicians, Automatic, A/C, Chrome Step Tubes, Tow Package, Remote Keyless Entry, Cruise Control, & More!, Call Our Sales Managers Today For More Information @715-341-4400.We know everybody's reasons for change are different; first car, a growing family, a promotion, looking for something new....whatever your reason, we can help. We offer a huge selection of vehicles at an excellent price. All of our vehicles have been through rigorous safety inspections performed by our Factory Trained Technicians for your peace of mind. Contact our Internet Manager Meghan Menadue at (715) 341-4400 or contact her at our website www.stevenspointchrysler.com and set an appointment for Internet Only pricing, free CarFax reports on any vehicle in our inventory or at another dealership, a free top dollar trade-in assessment, and get set-up for a friendly professional consultation with one of our Chrysler Certified Brand Specialists who can answer any questions you may have or ease any concerns to make your shopping experience as pleasurable and painless as possible. Bad Credit? No Credit? With access to over 30 lenders, we are your gateway to getting the best rates possible. 2016 Ram 1500 Express 4X4, Power Windows & Locks, CD Player, Premium Sound, Local Trade, Non-Smoker, Clean Carfax Report, Inspected By RAM Certified Technicians, Automatic, A/C, Chrome Wheels, Traction Control, Running Boards, Tow Package, Newer Tires, Tinted Glass, Remote Keyless Entry, Cruise Control, & More!, Call Our Sales Managers Today For More Information at 715-420-1555, AVAILABLE AT RHINELANDER CHRYSLER. CARFAX One-Owner.We are proudly serving Rhinelander, Eagle River, Tomahawk, Crandon, Antigo, Three Lakes, Lac Du Flambeau, Arbor Vitae, Minoqua, and many more! Contact us at 715-420-1555. Only 22K Miles! 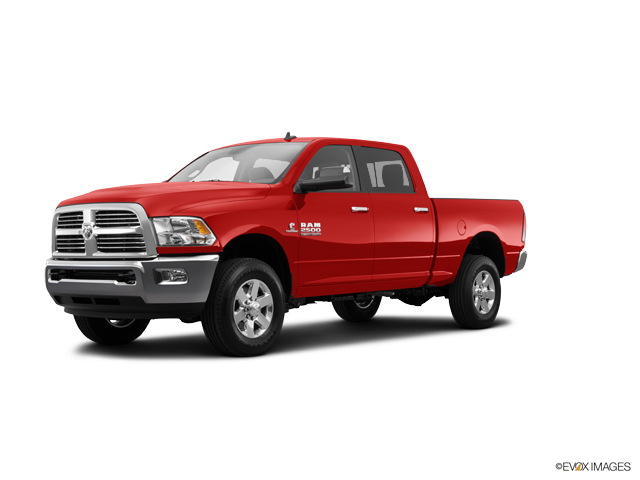 2017 Ram 1500 Big Horn CREW CAB, Bluetooth, Backup Camera, Heated Steering Wheel, Heated Seats, Heated Mirrors, Power Seat, Power Windows & Locks, Power Sliding Rear Window, Satellite Radio, Premium Sound, Remote Start, Local Trade, Non-Smoker, One Owner Clean Carfax Vehicle History Report, Inspected By Ram Certified Technicians, Automatic, A/C, Tow Package, Remote Keyless Entry, Cruise Control, & More!, Call Our Sales Managers Today For More Information @715-341-4400.Recent Arrival! Odometer is 2226 miles below market average! Recent Arrival! 2019 Ram 1500 Big Horn/Lone Star 4WD, Bluetooth, Backup Camera, Power Seats, Power Window & Locks, MP3, CD Player, Satellite Radio, PREMIUM SOUND, One Owner Clean Carfax, Inspected By ASE Certified Technicians, Automatic, A/C, Alloy Wheels, Traction Control, Remainder Of Factory Warranty, Tinted Glass, Remote Keyless Entry, Cruise Control, & More!. Only 12K Miles! 2017 Ram 1500 Express Bluetooth, Backup Camera, Heated Mirrors, Power Windows & Locks, Satellite Radio, Premium Sound, Non-Smoker, Clean Carfax Vehicle History Report, Inspected By Ram Certified Technicians, Automatic, A/C, Tow Package, Privacy Glass, Remote Keyless Entry, Cruise Control, & More!, Call Our Sales Managers Today For More Information @715-341-4400.Recent Arrival! Odometer is 2995 miles below market average! Only 20K Miles! 2017 Ram 1500 Express Quad Cab 4WD, Power Windows & Locks, Premium Sound, One Owner, Inspected By RAM Certified Technicians, Automatic, A/C, Tinted Glass, Remote Keyless Entry, Cruise Control, & More!, Call Our Sales Managers Today For More Information at 715-420-1555. Only 24K Miles! 2017 Ram 1500 Big Horn 4X4, Bluetooth, Back Up Camera, Navigation, Heated Steering Wheel, Heated Seats, Power Seat, Power Windows & Locks, Touch Screen Radio, MP3, CD Player, Satellite Radio, Premium Sound, U CONNECT, iPod Connect, Remote Start, Local Trade, Non-Smoker, One Owner Clean Carfax Report, Inspected By RAM Certified Technicians, Automatic, A/C, Chrome Wheels, Traction Control, Running Boards, Tow Package, Tonneau Cover, Newer Tires, Remainder Of Factory Warranty, Tinted Glass, Remote Keyless Entry, Cruise Control, & More!, Call Our Sales Managers Today For More Information at 715-420-1555. CARFAX One-Owner. Clean CARFAX.Odometer is 778 miles below market average! Only 49K Miles! Recent Arrival! 2012 Ram 1500 Outdoorsman 4X4, BlueTooth, Rear View Camera, Inspected By Ram Certified Technicians, Automatic, A/C, Alloy Wheels, Tinted Glass, Remote Keyless Entry, Cruise Control, & More!, Call Our Sales Managers w/Any Questions @ 608-742-7141. Clean CARFAX. Recent Arrival! 2018 Ram 1500 SLT 4X4, BlueTooth, Rear View Camera, Non-Smoker, Inspected By Ram Certified Technicians, Automatic, A/C, Alloy Wheels, Trailer Tow, Keyless Entry, Tinted Glass, Remote Keyless Entry, Cruise Control, & More!, Call Our Sales Managers w/Any Questions @ 608-742-7141. Clean CARFAX. Recent Arrival! 2018 Ram 1500 SLT 4X4, BlueTooth, Rear View Camera, Non-Smoker, One Owner Clean Carfax Vehicle History Report, Inspected By Ram Certified Technicians, Automatic, A/C, Alloy Wheels, Trailer Tow, Tinted Glass, Remote Keyless Entry, Cruise Control, & More!, Call Our Sales Managers w/Any Questions @ 608-742-7141. Clean CARFAX. CARFAX One-Owner. Only 8K Miles! 2018 Ram 2500 Tradesman Chrysler Group Certified Pre-Owned Certified, 4D Crew Cab, Cummins 6.7L I6 Turbodiesel, 4WD, POWER WINDOWS & LOCKS, MP3, SATELLITE RADIO, PREMIUM SOUND, LOCAL TRADE, WELL MAINTAINED W/ DETAILED SERVICE RECORDS, ONE OWNER CLEAN CARFAX VEHICLE HISTORY REPORT, INSPECTED BY ASE CERTIFIED TECHNICIANS, AUTOMATIC, A/C, REMAINDER OF FACTORY WARRANTY, TRACTION CONTROL, TINTED GLASS, REMOTE KEYLESS ENTRY, CRUISE CONTROL, & MORE!, CALL OUR SALES MANAGERS TODAY FOR MORE INFORMATION @ 715-341-4400.Chrysler Group Certified Pre-Owned Details:* Includes First Day Rental, Car Rental Allowance, and Trip Interruption Benefits* Limited Warranty: 3 Month/3,000 Mile (whichever comes first) after new car warranty expires or from certified purchase date* Transferable Warranty* Warranty Deductible: $100* Vehicle History* 125 Point Inspection* Roadside Assistance* Powertrain Limited Warranty: 84 Month/100,000 Mile (whichever comes first) from original in-service dateWe know everybody's reasons for change are different; first car, a growing family, a promotion, looking for something new....whatever your reason, we can help. We offer a huge selection of vehicles at an excellent price. All of our vehicles have been through rigorous safety inspections performed by our Factory Trained Technicians for your peace of mind. Contact our Internet Manager Meghan Menadue at (715) 341-4400 or contact him at our website www.stevenspointchrysler.com and set an appointment for Internet Only pricing, free CarFax reports on any vehicle in our inventory or at another dealership, a free top dollar trade-in assessment, and get set-up for a friendly professional consultation with one of our Chrysler Certified Brand Specialists who can answer any questions you may have or ease any concerns to make your shopping experience as pleasurable and painless as possible. Bad Credit? No Credit? With access to over 30 lenders, we are your gateway to getting the best rates possible. Recent Arrival! 2018 Ram 2500 SLT 4X4 6.7 CUMMINS!, BlueTooth, Rear View Camera, Non-Smoker, One Owner Clean Carfax Vehicle History Report, Inspected By Ram Certified Technicians, Automatic, A/C, Alloy Wheels, Trailer Tow, Tinted Glass, Remote Keyless Entry, Cruise Control, & More!, Call Our Sales Managers w/Any Questions @ 608-742-7141. Clean CARFAX. CARFAX One-Owner. Recent Arrival! 2017 Ram 3500 SLT 4D Crew Cab, Cummins 6.7L I6 Turbodiesel, 4WD.